Complete all of the courses on the Pete Dye Golf Trail and receive an official Pete Dye Golf Trail pin flag and bragging rights for life. Create an account to receive access to your own online Trail Passport. Look through the list of Pete Dye Golf Trail courses and begin planning your future outings. Provide us with proof of play at each course by checking in on your mobile device or by uploading a photo of yourself or your receipt through the Trail Passport page. Share your journey with us on social! Snap a photo while you play each course on the Pete Dye Golf Trail and share on social using the hashtag #PeteDyeGolfTrailChallenge. You may see your photo appear on our social feeds. Do you still accept the old paper version of the Pete Dye Golf Trail Passport? No. However you may transfer your credits to an online account. First create an account if you do not have one already, then sign in. Once you are signed in, navigate to the Submit a Completion page and upload a photo of each completed page of your paper passport. 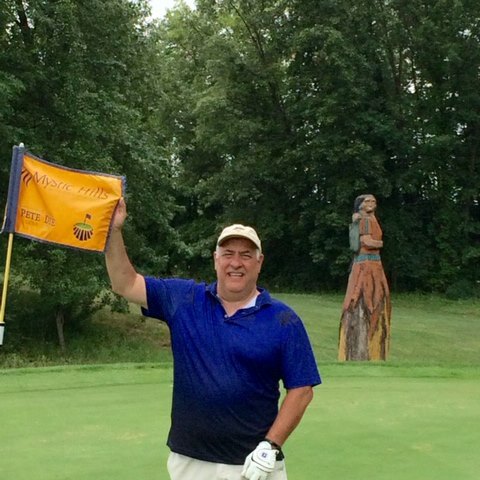 Once you have completed the entire trail, mail your old passport to the Indiana Office of Tourism Development to receive your official Pete Dye Golf Trail pin flag. Can I transfer completed courses from the old paper version of the Pete Dye Golf Trail Passport to my online account? Yes. To do so, first create an account if you do not have one already. Then sign in. Once you are signed in, navigate to the Submit a Completion page and upload a photo of your passport stamp. What is the prize for completing the Pete Dye Golf Trail? Can I get credit for completing the Pete Dye Golf Trail without playing the Pete Dye Course at French Lick? How will I know if I got credit for playing a specific course on the Pete Dye Golf Trail? Once you make your submission and the photo receipt is accepted, your digital passport will receive a mark to show your list of courses completed. Who do I contact if I have issues with my course completion submission? You may fill out our general inquiry form or contact us directly via email (golf@visitindianagolf.com) or phone (317-232-0600). There is no deadline for taking the challenge. You may complete it at your own pace. For more details, read the Trail Challenge rules.